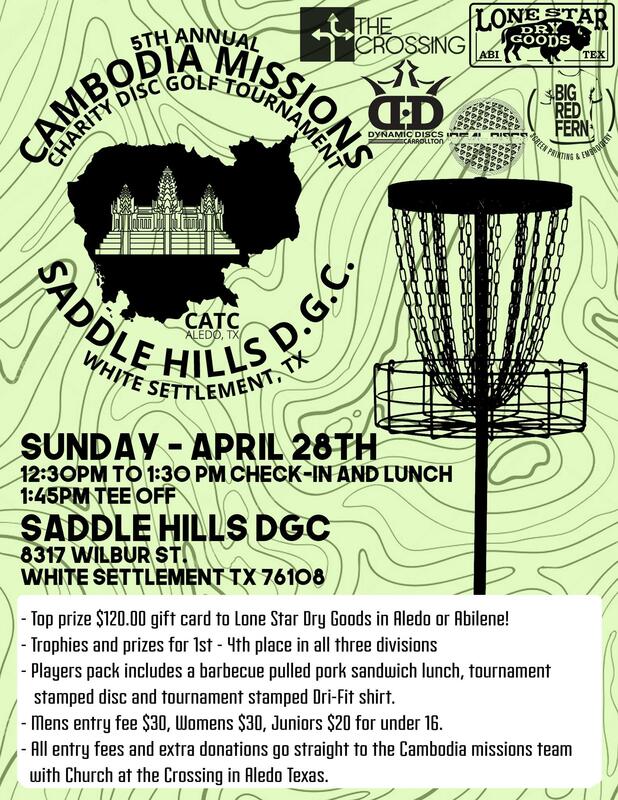 Details: come support the Cambodia Missions team from Church at the Crossing at the 5th annual charity tournament. You will play 1 round of 18 holes after the bbq pulled pork lunch that is included in your players pack. Each player will also receive a tournament disc and shirt. This is a fun and family friendly event for all levels of players.